Do you look for LG L90 D405 firmware download? We have a good news. You've come to the right place. We have a collection of LG L90 D405 firmware for different regions. 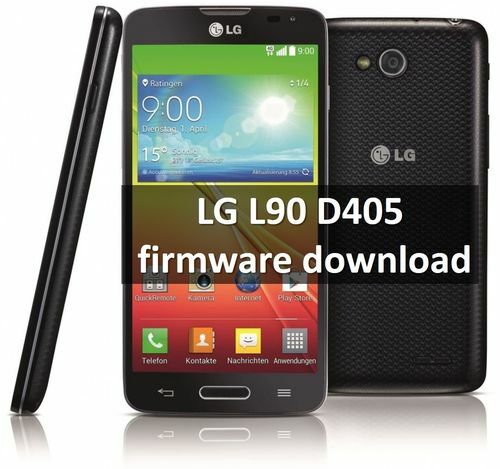 In this article you can find firmwares for LG L90 LG D405, LG D405H, LG D405N, LG D405TR. As you may know, LG’s series of budget smartphones called L.
LG L90 is the best and newest model in the series. The smartphone was released in 2014, but it is still very good. LG is famous for its good smartphones, even budget class. LG L90 D405 has practical design, good build quality, good performance and Knock Code feature that was a real surprise. As for technical specifications, they are a little outdated. Nevertheless, many people still use a smartphone and do not plan to change it for a new one. Now let's look at LG L90 D405 firmware download. As we have said, we have several firmware for the different regions. Make sure you download the right firmware, otherwise there may be problems. If you cannot find the right firmware, or any link LG L90 D405 firmware download does not work, please write in the comments below.